This post has already been read 2161 times! 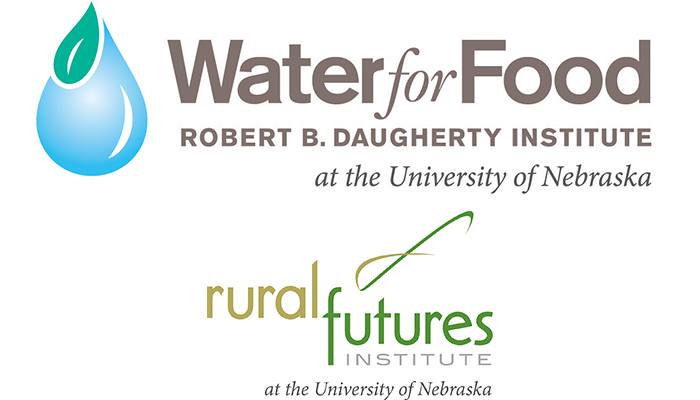 The University of Nebraska’s Robert B. Daugherty Water for Food Institute and Rural Futures Institute will host the next “Transdisciplinary Conversations” event from 5 to 6:30 p.m. March 16 at the Barbara Weitz Community Engagement Center (6401 Dodge St.) on the University of Nebraska-Omaha campus. This informal event series is designed to spur new directions in transdisciplinary research and collaboration. It is open to all NU faculty, staff and students, as well as interested colleagues in the private and nonprofit sectors. Transdisciplinary Conversations brings together scientists, students, extension educators, business leaders, policymakers, farmers and others, allowing them to gather informally and make cross-disciplinary connections they might not otherwise. The next event in the series will be April 22, 4:30-6 p.m., at the University of Nebraska-Lincoln’s Morrill Hall, 645 N. 14th St. The featured speaker will be Jessica A. Shoemaker, assistant professor in the NU College of Law. The Robert B. Daugherty Water for Food Institute at the University of Nebraska was founded in 2010 to address the global challenge of achieving food security with less pressure on water resources through improved management of water in agricultural and food systems. We are committed to ensuring a water and food secure world without compromising the use of water for other human and environmental needs. Contact: Dana Ludvik, Communications and Marketing Specialist, Robert B. Daugherty Water for Food Institute at the University of Nebraska, 402.472.9510 or dludvik@nebraska.edu.